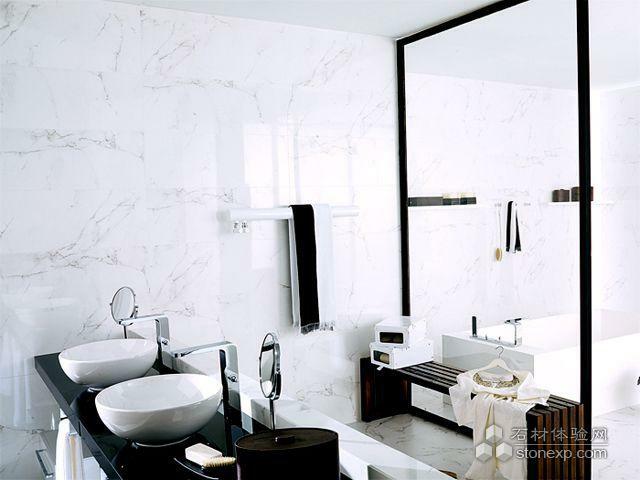 Create a look of luxury for less with Porcelanosa's Marmol Carrara Blanco. Marmol Carrara Blanco is a large format, rectified porcelain tile that mimics natural Carrara marble. Achieve the look of true marble with the durability of tile. 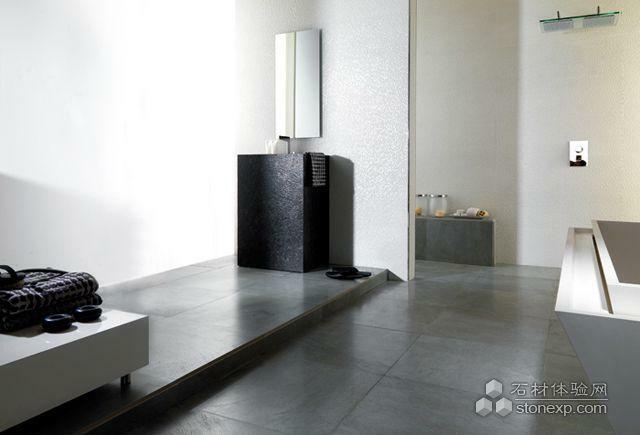 Bring to life your very own zen garden with the tranquil flow of Porcelanosa's Qatar. 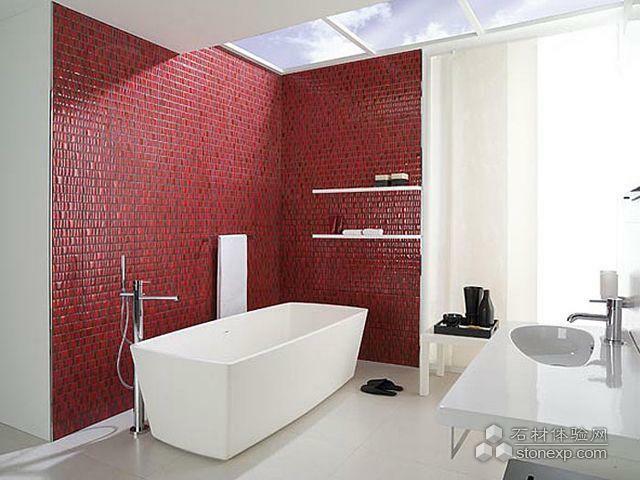 This large format tile gives the illusion of an opulent mosaic pattern, but it's rectified edges create a tiny grout joint, giving your wall a seamless finish. It's subtle coloration and finish plays with the lights in your home, for an elegant finish to any wall. 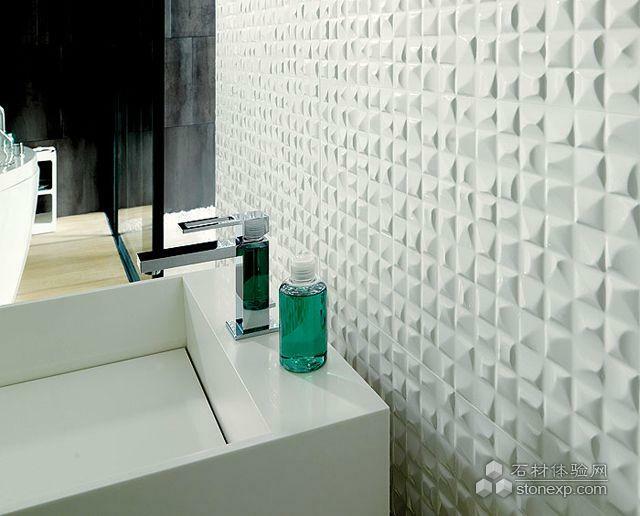 Velas wall tile by Porcelanosa looks like a mosaic, but is actually ceramic. 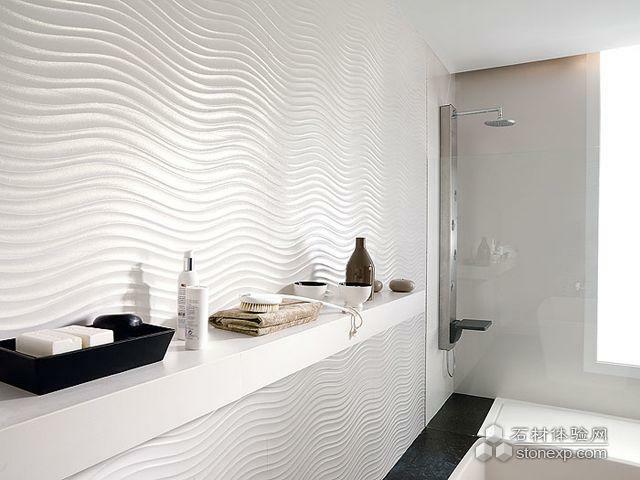 It's curvaceous texture and sheen will make a modern statement in your bath or as a kitchen backsplash. 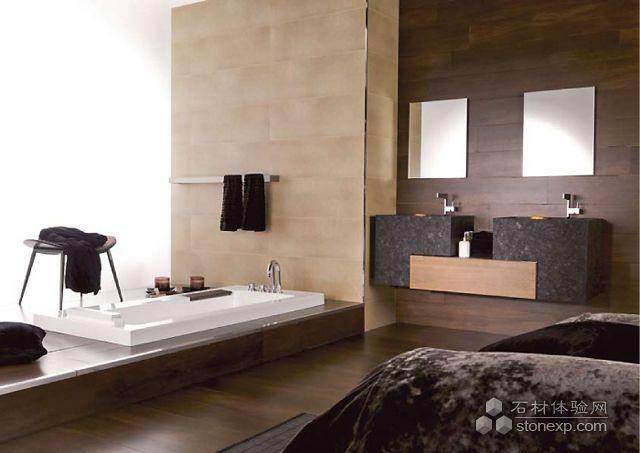 This modern and elgant bathroom features the Giro Vanity, wall shelves and brassware. The walls are clad in the soft hues of our 'Cotton' wall tile series with an aluminium pro-part profile dividing the two tile colors. 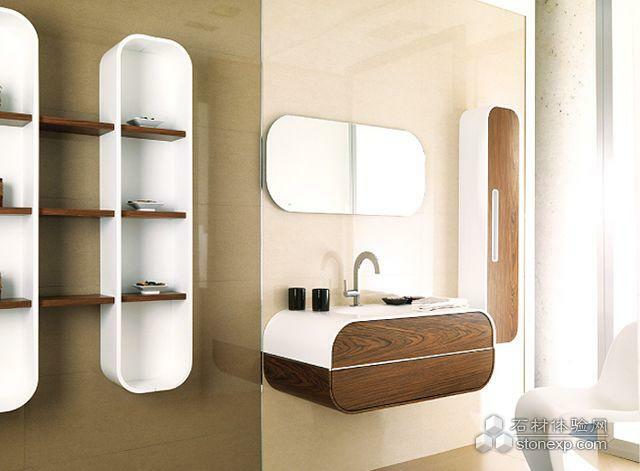 The Imagine vanity series' gentle forms merge in a compact and organic design. 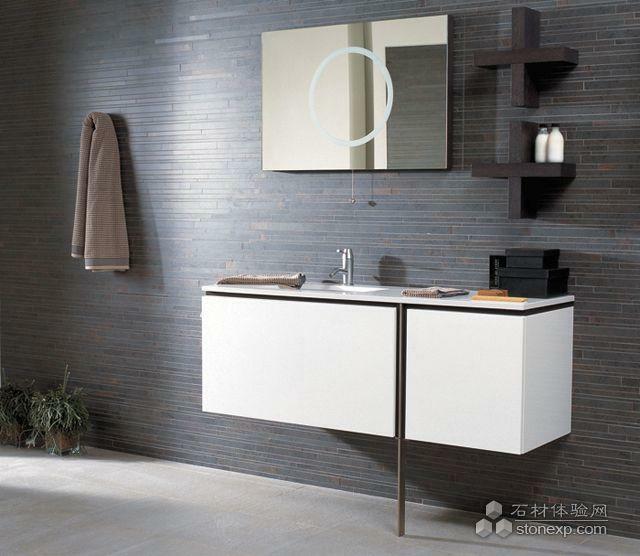 Wood base with a tempered glass countertop features an integrated sink and towel rail. The large drawer is perfect for extra storage. The Neo Blanco series features a lacquered wood cabinet, a low maintenance silestone counter top, and two large drawers. 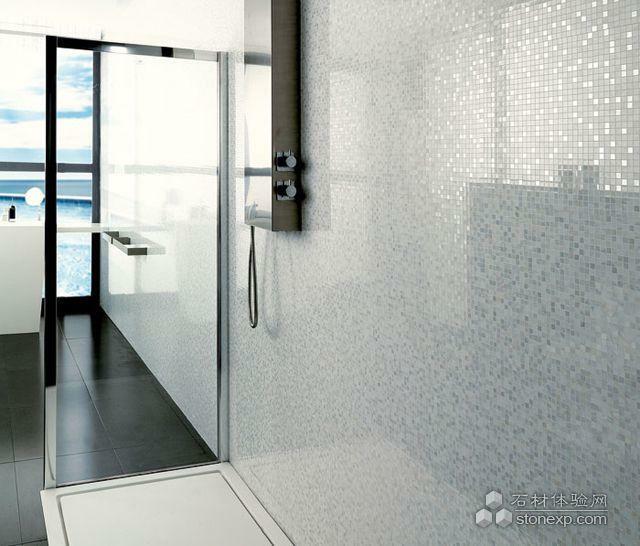 Cubica Blanco is a highly textured, large format tile. Available in multiple colors, Cubica creates a statement in any room. It slightly metallic glossy sheen creates an interplay of light and shadow. 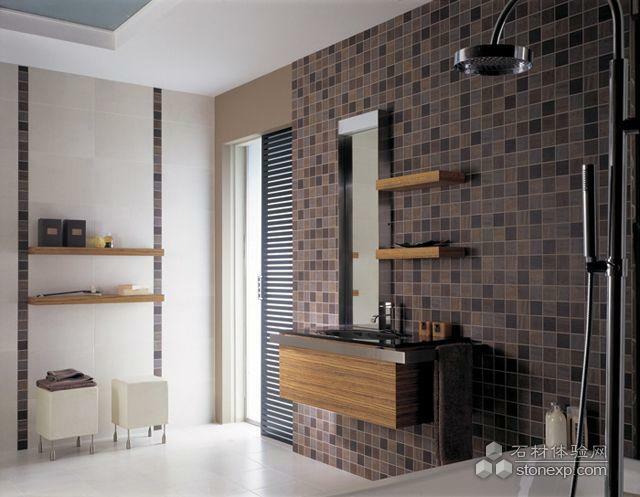 It's rectified edges allow for a minimun of grout joints to create a seamless and elegant look. Bring forth the look of nature's serenity with Casona Cantagno without the maintenance of hardwood.